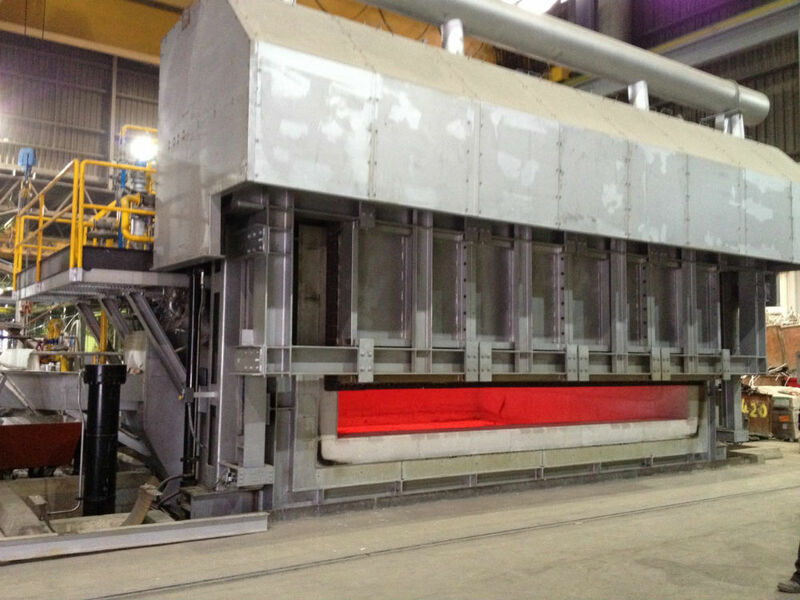 Double chamber melting furnaces for aluminum alloys. Stationary design with melt transfer pump or tilting design. Front door to maximize the charge amount of coated scrap in the cold chamber. Front door or side door hot chamber for clean scrap. Motorized chimney valve to perform internal pressure control. Adjustable high velocity burner in the cold chamber (or Oxy fuel combustion), %CO and %O2 control and pyrolytic gas fans to maximize the hot chamber combustion and reduce emissions. High efficiency regenerative burners and O2 probe in the hot chamber for low specific fuel consumption and NOx emissions. 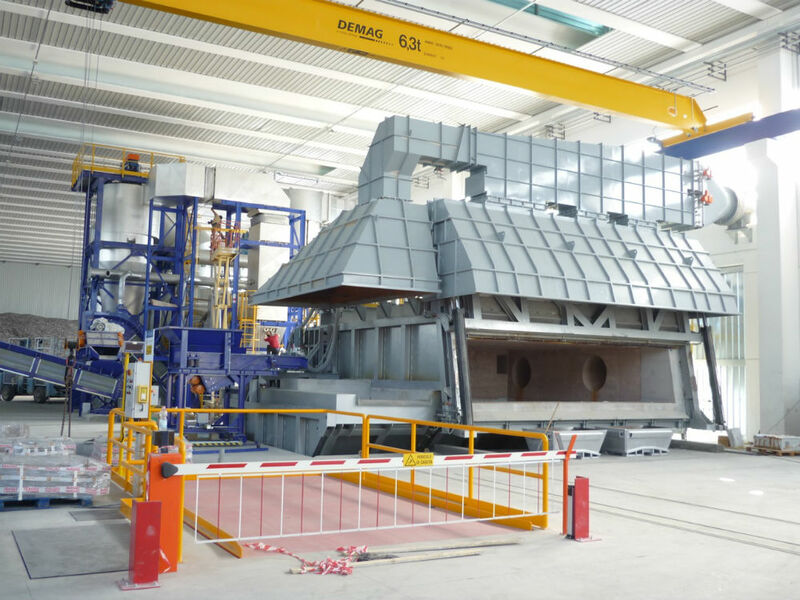 Melting furnaces for aluminum alloys. Front door to maximize the charge amount and inspection door for degassing and fluxing. High efficiency regenerative burners for low specific fuel consumption and Ultra Low NOx emissions. We could ensure a specific consumption of 60 Nm3/t. 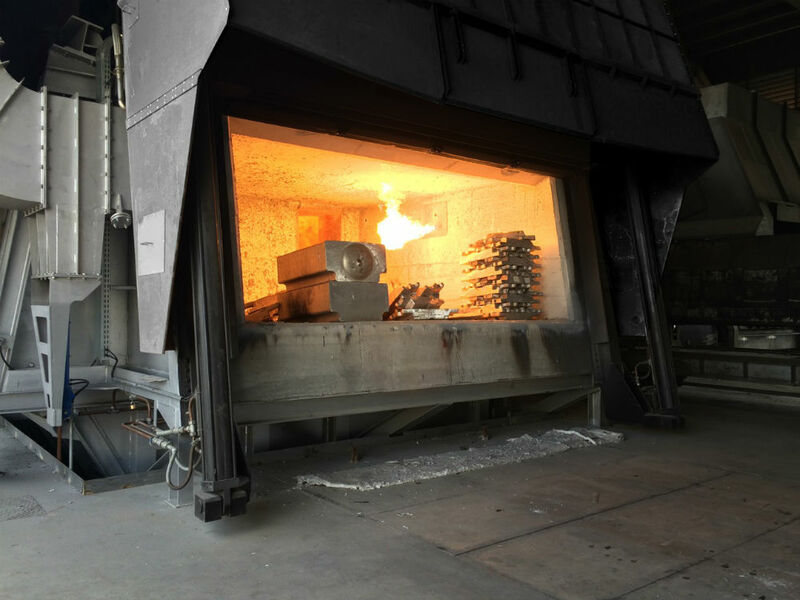 High quality refractories and engineered insulation to provide extended service life. Motorized chimney valve to perform internal pressure control. Regenerative or direct burners available. High quality refractories and engineered insulation to provide extended service life. 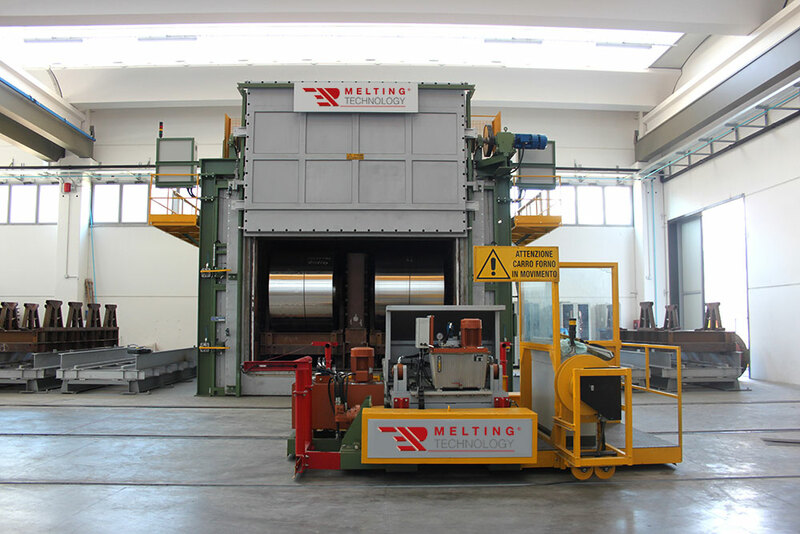 Batch annealing furnaces for aluminum strip coils. Indirect heating through recirculating internal atmosphere and stainless steel radiant tubes. I tubi sono riscaldati da bruciatori a gas con scambiatore di calore per risparmio combustibile.